“I Personally wanted to thank you for the amazing service you provided, it truly is bespoke. We will certainly be recommending you to all my friends, family and colleagues.” Mrs R.
“Top class customer service! !” Mr P.
“I just bought my gorgeous Mini Countryman from Bespoke and I’m so pleased with it. I told Russell the specification, colour etc I was looking for and he was very professional and couldn’t have been more helpful. Russell got me the exactly the car I was looking for at a great price and he also kept me updated throughout the process. 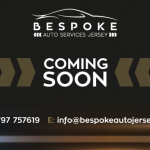 I highly recommend you speak with Russell at Bespoke if you’re looking for a car – you wont do any better anywhere else. I’m absolutely loving my new car and wished I’d replaced my old one sooner! A big thank you Russell.” Mrs B. “Amazing guy, great service. Always great doing business with Russell. Genuine and honest.” Mrs V-J. “Just wanted to say thanks once again. I drove the car for hours this afternoon and it runs as well as I expected. The seats too are very comfortable and supportive which is exactly what I wanted. I will recommend your services to anyone I can. You have been very professional and helpful from start to finish; I have no doubt that without your input and assistance I would not have got the car that I wanted.” Mr LeB. “Knowledgeable in the industry, great quality cars, and 5* customer service. Not a pushy sales person either, just keen to make sure you leave his show room happy. He will be my first stop when I’m due an upgrade.” Mr AJB. “From the moment I made contact nothing was too much trouble. Great communication throughout the process and exceptional customer service. Russell is a genuine guy who knows his stuff and he really does put the customer first. I would very highly recommend this garage. Oh and I absolutely love my car thank you.” Mr H.
“I agree with the 5 star rating. 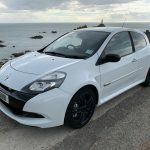 Russell understands that using his knowledge and dealing with his customers fairly and honestly is going to help his reputation grow.I will certainly continue to look at his site and if my wife lets me keep changing my cars with Russell’s help.” Mr McI. “I just wanted to send a quick email to say thank you for making the purchase of my new car so easy and trouble free. It is definitely the smoothest transaction I have ever done. The car is great and I am looking forward to many years enjoying driving it.” Mrs H.